There are surely foods or snacks that become the characteristic of places. Just like Pizza that is originally from Italy, Sushi from Japan, Kimchi from Korea and Fried Chicken from America. Also, there are snacks that hardly to find in other countries except in Indonesia. The snacks are Cilok and Mochi. Cilok is a snack that is easily found in every elementary schools, because it is famous as children’s favorite snack. Cilok is an abbreviation for Aci diColok which means in English is a starch that is stick by a tiny stab. Cilok usually has round shape and has filled inside it. It is mostly filled by ragout. Moreover, there is another starch that is similar with Cilok. The name is Mochi. 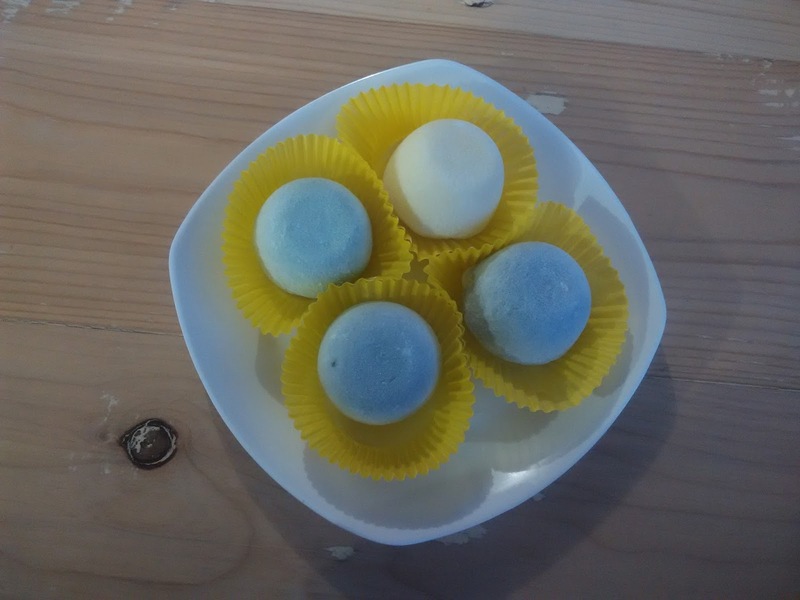 The different between Cilok and Mochi is that Mochi is another starch but have sweet taste. Mochi also has round shape but it is filled with sweet flavor, such as chocolate, greenpeal and many more. Furthermore, mochi is spread by castor sugar which make it sweeter. Those two snacks become favorite snacks for Indonesian people. Because of many people love this snacks, many people also produce something new or some innovations for this kind of snacks. It can be seen from the hang out place in Jl. Sekeloa No. 31 Dipatiukur-Bandung. This place has name Mochilok. 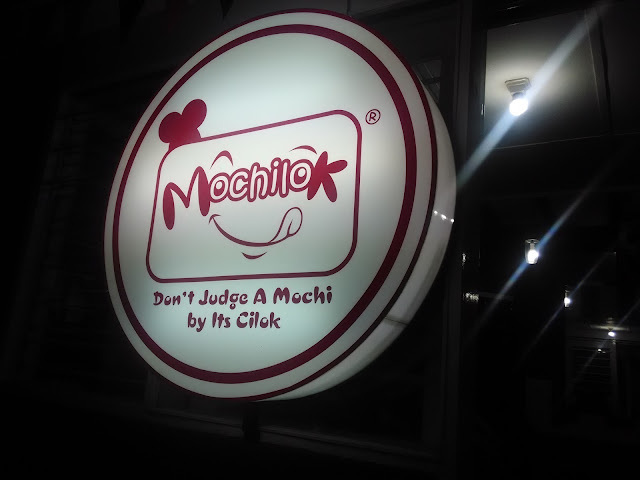 It is an abbreviation for Mochi and Cilok. There are many kinds of cilok and mochi in this place. A modern type of Mochi and Cilok. So far, I love this place from the decoration and various kind of Mochi and Cilok. I have been there once, and I love it. I asked my friend to accompany me to go to Mochilok. The location of Mochilok is near with my workplace. Therefore, we went there after the office hours. I went there with Riska and Dwi. Riska had been there, so she gave us a recommended cilok and mochi. When the first time we arrived there, I was amazed with the decoration itself. It is like the color of Hello Kitty; full of white and pink. It is very cozy for girls hang out. In there, we ordered Mochi Ice Cream, Cilok Bakar, Barbeque and Ramenaci. Mochi Ice Cream is a great dessert, I think, because it is fresh, cold, and sweet. There are various types of Mochi Ice Cream. Mochi Ice Cream is a mochi which is filled with various types of ice cream. There are strawberry, black oreo, taro and many more. One mochi only cost Rp.4.500 to Rp. 5.000. You may order the taste of ice cream that you like. 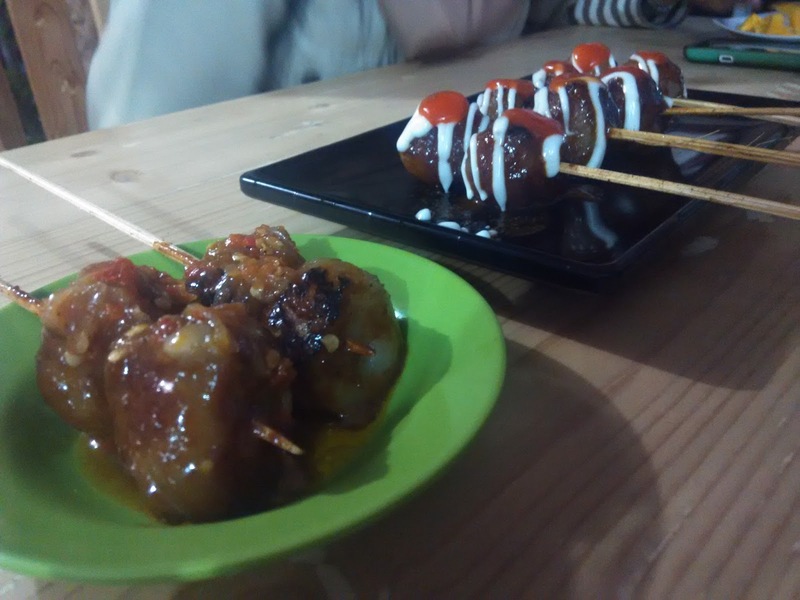 Another food that we ordered is Cilok Bakar Barbeque. It is almost the same with an ordinary cilok, but what makes it different is that this cilok is roasted and served with mayonnaise and chili sauce on it. Perfect and tasty. For one stick consists of three ciloks which cost Rp.2500. 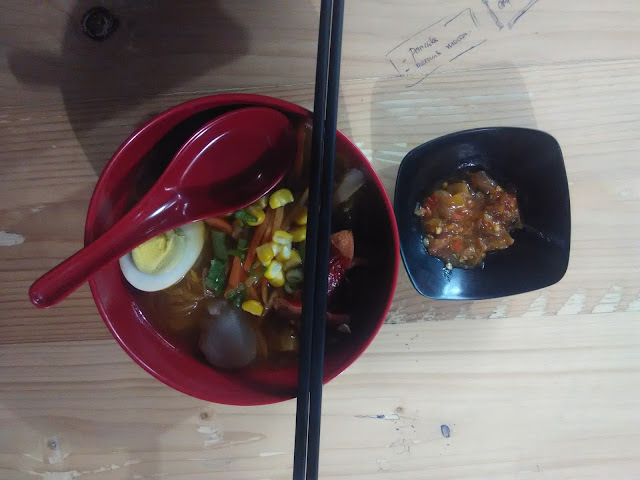 The last food that we ordered is Ramenaci. This food is similar with ramen, but it uses different kind of noodle. The noodle that is used by Mochilok is made from Kerupuk Selonjor; Indonesian chip that are usually made for seblak. It is quite tasty to fill your empty stomach. Moreover, it is served with a sausage and goang sauce; local sauce that is made from soft garlic, salt and chilly. Hey! Does Japan have mochi too? hehe. Yes! They have, but I've never been there, so yeaah never taste it. Boys are very allowed. Even the waiter are boys. Lol.